← What are Values of the Two-Year College. 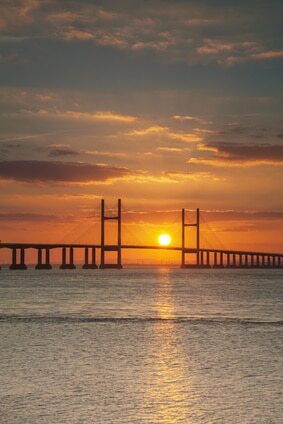 Calls grow for unpopular tolls on the Severn bridges to be axed! There was an old joke that went something along the lines of: “How can you get two whales in a Mini?” The answer, of course, was: “Go west along the M4 and take the Severn crossing!” One other thing should also have been added … “But it will cost you!” The tolls on the two bridges are not only the most expensive in the UK but some of the most expensive in the world. The fee for a car currently stands at £6.60 but, rather bizarrely, only applies to westbound traffic, with no toll being charged in the opposite direction. This has resulted in it often being referred to as a tax on entering Wales. The toll charges are a significant financial burden both to private motorists having to regularly use the crossing and to business users. It is widely regarded as a real discouragement to travel between England and Wales and vice versa and a major handicap to businesses on both sides of the crossings. The reasons for the toll were, of course, to finance the construction of the bridges and, more recently, to pay for the ongoing maintenance works but some are now questioning the validity of these arguments. The capital costs have now largely been recouped and the crossings were due to pass completely into public ownership as early as October 2017 but the financial goalposts have recently been moved meaning that a later date is now more likely. Estimates of ongoing maintenance costs are also under scrutiny with operators suggesting a figure of £13-15m per annum but opposition pointing out that most of these costs relate to the collection of the tolls and the true cost is around £6m, equivalent to 44p per car. On Wednesday 16th November 2016, a Senedd debate was held regarding the abolition of the tolls. The debate was tabled by UKIP but supported by Labour, Conservative and Plaid Cymru with the final vote in favour of abolition being 45-0 (with one abstention). A spokesman for the UK Department of Transport has said that consultation on the Severn crossings would be launched in due course. In the meantime, the current toll charges are to be halved from the end of 2017, as announced in the 2016 budget which may be a step in the right direction and hopefully, before too long, getting two whales in a Mini should cost nothing at all! This entry was posted in Bridges, Bridges. Bookmark the permalink.